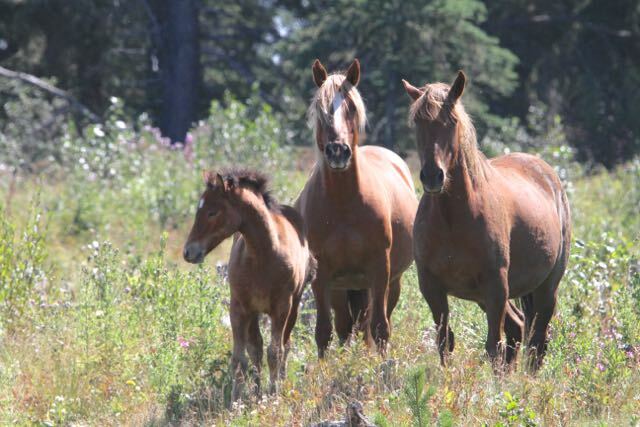 Summer has been a good one for the wild horses despite all the rain. The grasses are lush and green and the herds are looking very healthy. As you can see the foals are healthy and growing big and strong. These three youngsters took turns seeing who could be the most annoying to the others. One thing about late summer is that the horses do spend a lot of time seeking sanctuary from the annoying insects. At times you’ll find them out in the open getting the benefit of any wind to keep the bugs away. Most of all though the horses head into the tall timber. With all the time we spend checking on the herds, it is gratifying to see how well all of them are doing. We have also spent time this summer taking visitors from as far away as Germany and Scotland out to observe the horses. 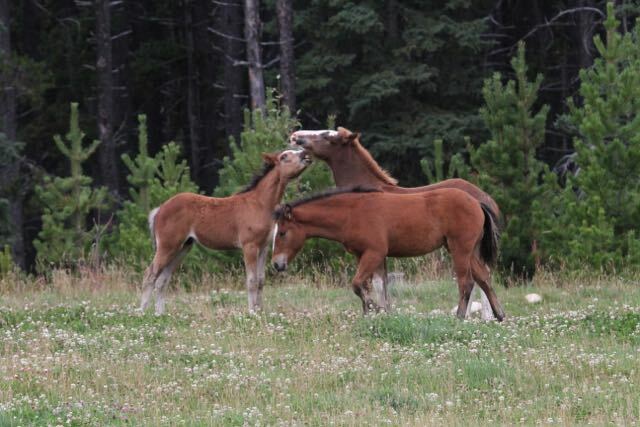 This definitely shows that our Alberta wild horses have a universal tourist attraction. This fact is overlooked by our government when we as Albertans should be proud of this and promote it. 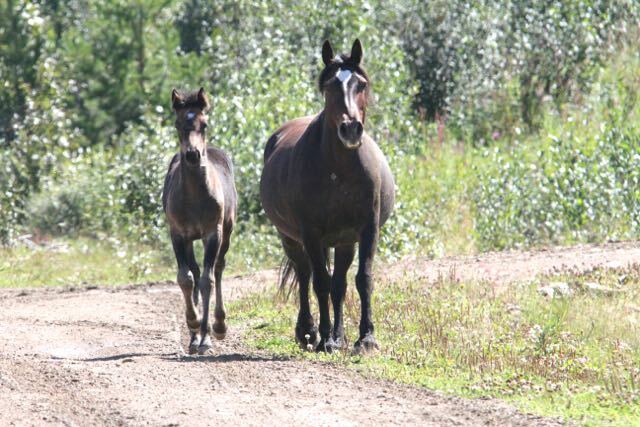 We already have school group visits booked to experience our handling facility in the fall and how important the horses are to our Alberta heritage. 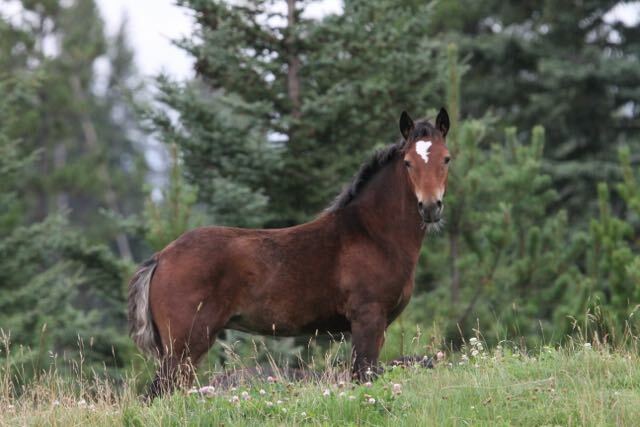 Photograph the back-country of Alberta’s Eastern Slopes, amazing fall colours & Wild Horses. 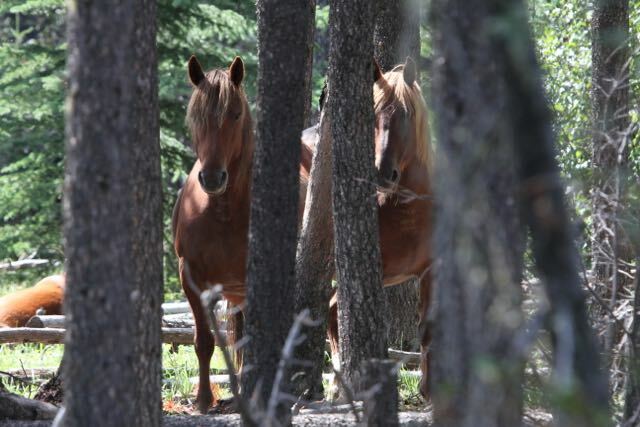 Spend a photographic weekend at Sunset Guiding on the shores of the Panther River with published photographer Larry Semchuk, author of “Running Free” the wild horses of Alberta’s east slopes. $295.00 + GST includes meals, lodging in our clean rustic cabins, café and day transportation. Entries limited to 20. We would also like to remind everyone that we still have raffle tickets available for the Heartland Prize draw to be held September 30th. For $10 you and 3 friends have an opportunity to visit the CBC Heartland site, meet the stars of the show, have lunch with them and get some autographs. Order online and if there is a mail strike be assured that your name will be entered into the draw even though we can’t mail you your tickets. We send a confirmation email to all entries. 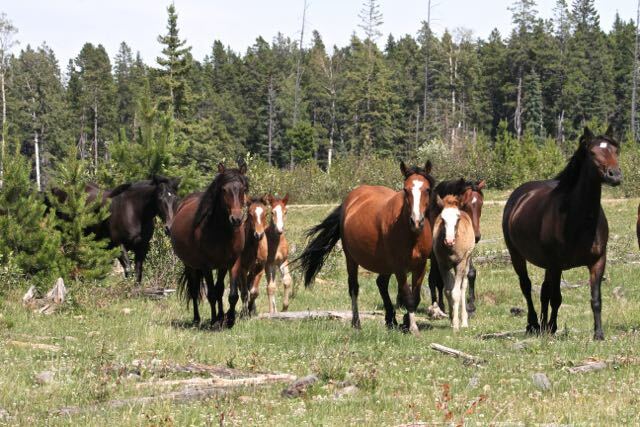 All funds goes to support our work with the wild horses.